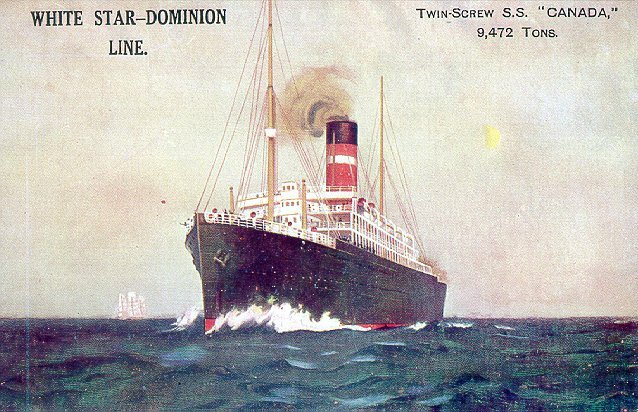 Despite the caption which appears on several of the cards below, the "White Star-Dominion Line" did not actually exist. 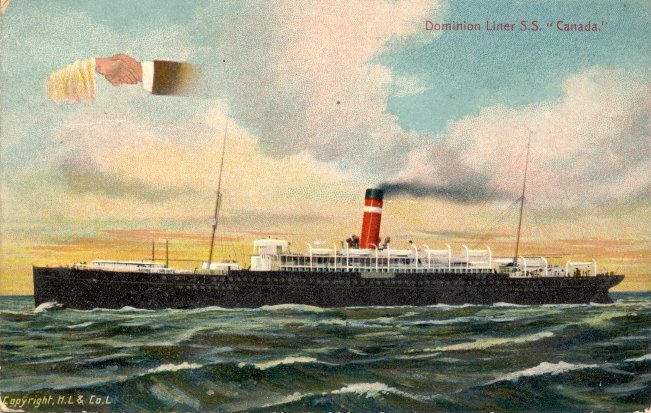 This was the title given to a passenger service operated jointly by the White Star Line and the Dominion Line, both of which were part of J.P. Morgan's International Mercantile Marine. 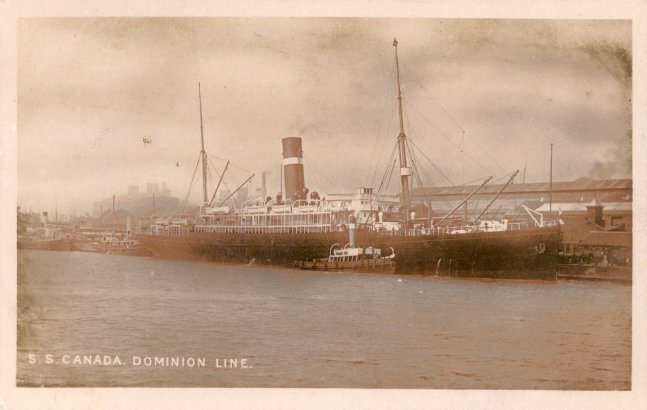 This service operated from 1908 until 1926, although the Dominion Line effectively ceased to exist in 1921, when ownership of all of its ships was transferred to IMM's Leyland Line. 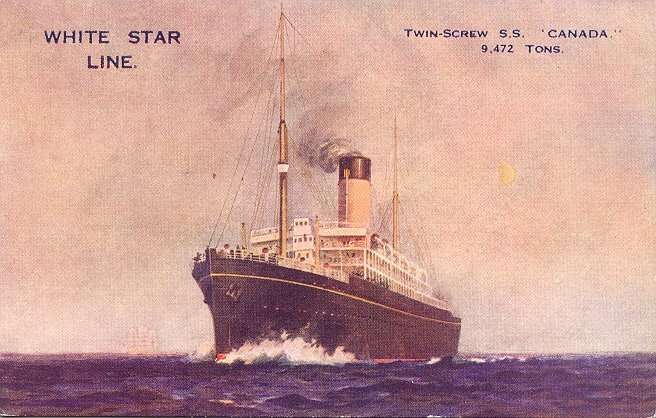 In 1926, when the last of Dominion's fleet was scrapped, this service was renamed the White Star Line Canadian Service. 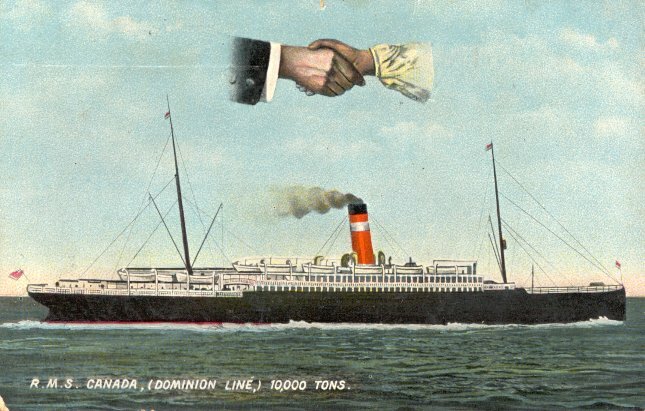 Canada was one of Dominion's original contributions to the "White Star-Dominion Line." Built by Harland & Wolff, Belfast, she was launched in 1896 and took her maiden voyage, Liverpool-Québec-Montréal, on 1 October 1896. 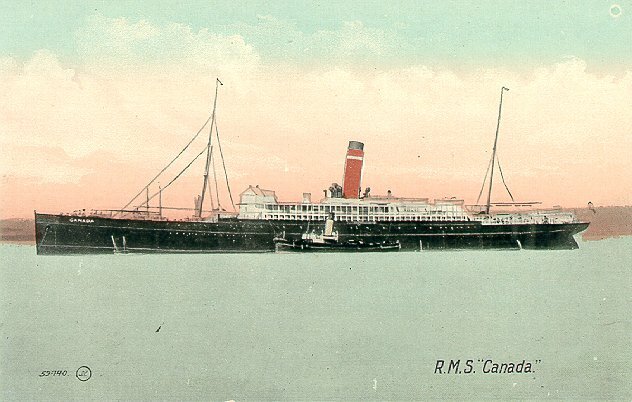 During the Boer War (1899-1902) she served as a troop transport, but otherwise she served Canada during the summers and Boston in winter. 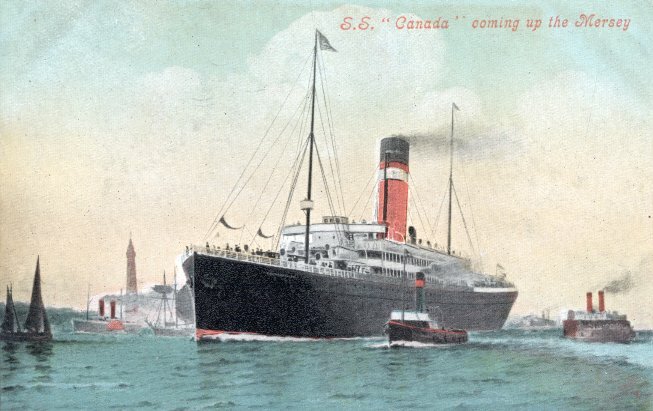 In August 1914, while in Canada, she was taken over and used to transport troops to England. 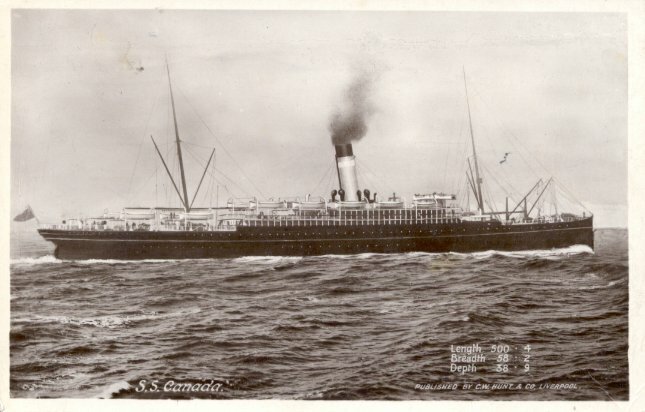 Upon her arrival there, she was used as an accommodation ship for German prisoners for the rest of the year. 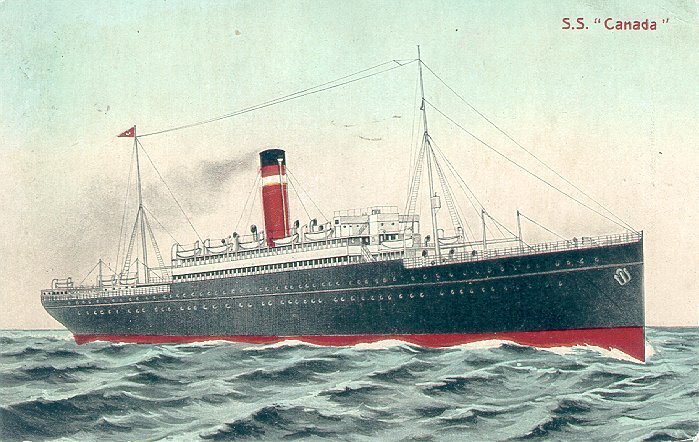 From 1915 until the end of World War I, she was used as a transport ship. 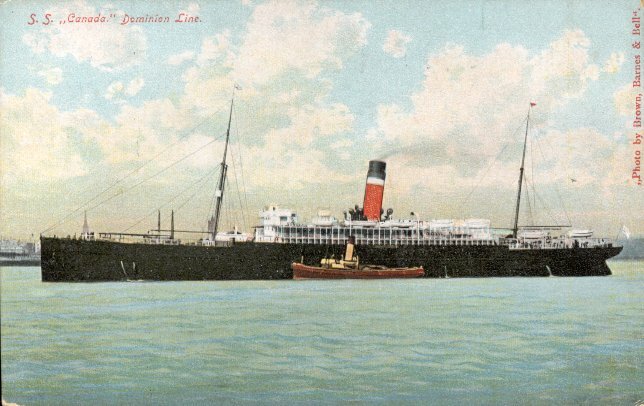 Her first voyage after the war was from Liverpool to Portland, Maine, in November 1918. 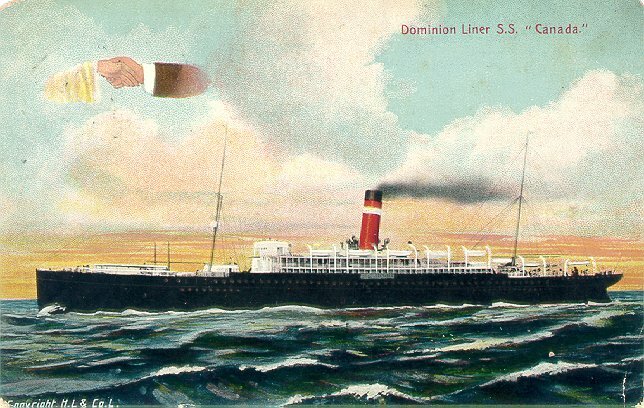 Although she was transferred to Leyland Line ownership in 1921, she retained her name and continued to carry Dominion's livery. 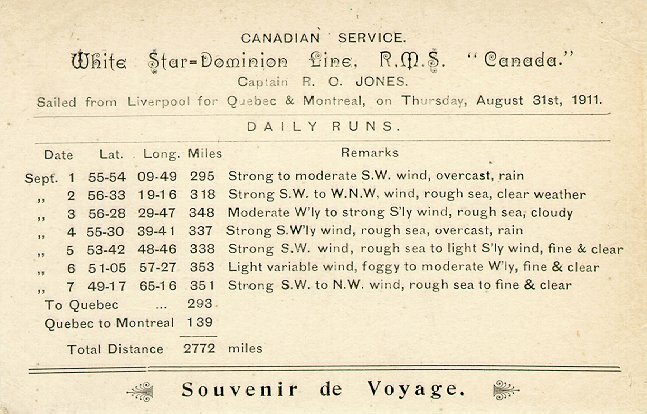 She remained in service until August 1926, when she made her final voyage on the same route as her maiden voyage. She was scrapped in Italy. Sources: Haws' Merchant Fleets in Profile; Bonsor's North Atlantic Seaway.